The Seaside Police Department identified the deceased officer as Sergeant Jason Goodding, 39 years old. The earlier reports of a search warrant service were incorrect. Sergeant Goodding and another officer were on patrol in downtown Seaside, in uniform, when they observed Mr. Phillip Ferry, age 55. He was known to law enforcement in the area and the officers were aware that he had a warrant for felony assault. Both officers attempted to take the suspect into custody and a struggle ensued. Officers utilized a taser and the suspect fell to the ground. Sergeant Goodding approached the suspect to take him into custody when the suspect produced a weapon and shot Sergeant Goodding. An officer, yet to be identified, shot the suspect. Both Sergeant Goodding and the suspect were transported to the hospital where they were both pronounced dead. Sergeant Goodding is survived by his wife and two school aged children. 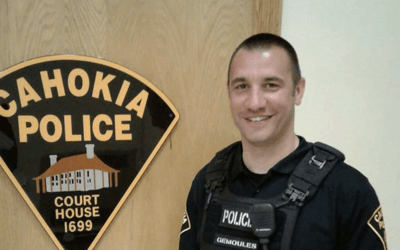 He started with Seaside PD in 2003 and worked in various functions in his career including the supervision of a drug team, detective sergeant and most recently a patrol sergeant. At a 10 am press conference, Sergeant Goodding was described as “one of the most respected and loved guys” on the department. 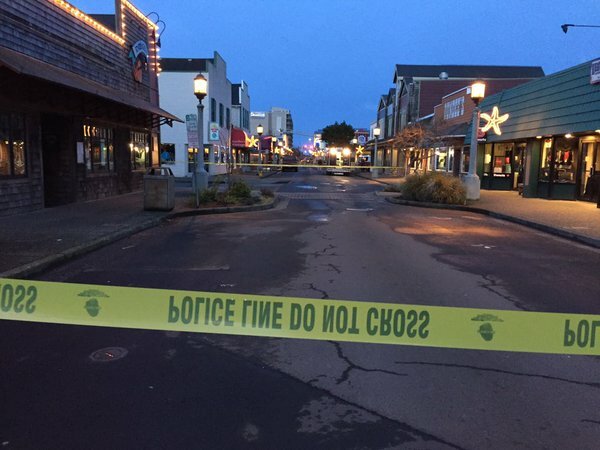 An Seaside (Oregon) officer was shot and killed in downtown Seaside Friday night, according to Seaside police. A second officer returned fire and shot the suspect. The suspect was taken to an area hospital and his condition is not yet known. Seaside Police have not released the officer’s identification. We will update you as we know more. So very sorry to hear about another hero lost! We will keep him and his families, both blood and blue, in our prayers that they may feel the healing powers and the peace that comes from knowing he is safe now. 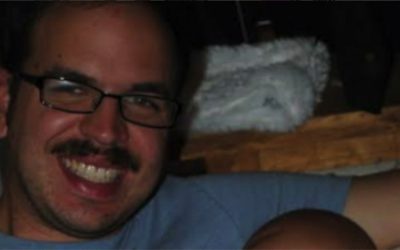 We have also created a GoFundMe page for the family of Sergeant Jason Goodding. RIP Sgt. Goofing. 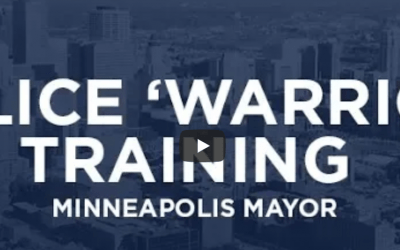 Thank you for defending your city! You will not be forgotten. My deepest condolences go out to Sgt. Gooding’s family and to the Seaside PD. RIP Sgt. Gooding. Thank you to all officers for your service. You have my deepest sympathies. Prayers to the family. This makes me horribly sad. My thoughts and prayers are with his family and I thank them for their families sacrifice to keep society safe.